Feeling Overwhelmed? This will help. 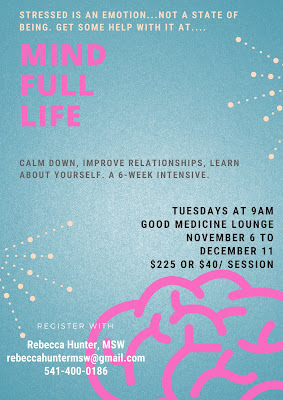 This 6-week intensive is brought to you by Rebecca Hunter, MSW, a local therapist. 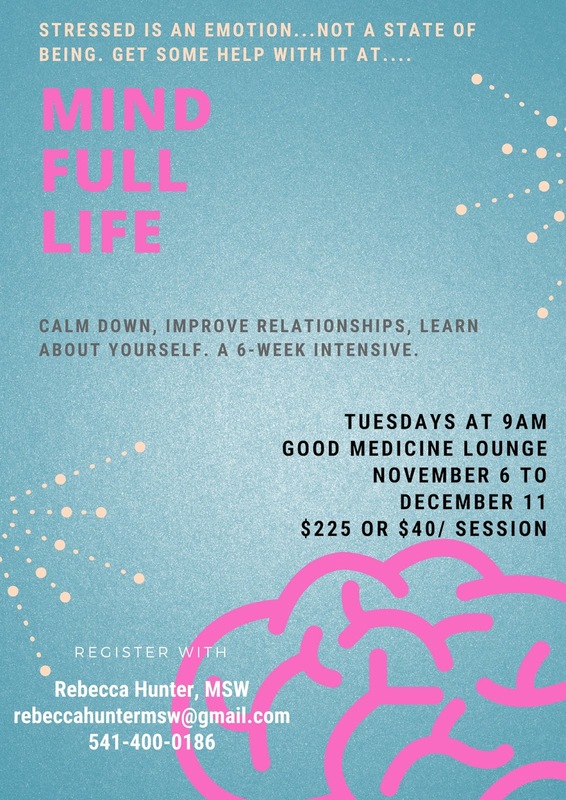 We will cover topics such as The Brain and Your Mental Health, Letting Go and Healing Relationships, She will teach you through experiences and compelling discussion what you would learn in months of therapy. Every Tuesday morning at 9am beginning on November 4th-December 11th. The series is $40 per class or $225 for the 6 week series. Walk-Ins are welcome if space allows. Call, text or email for more info!